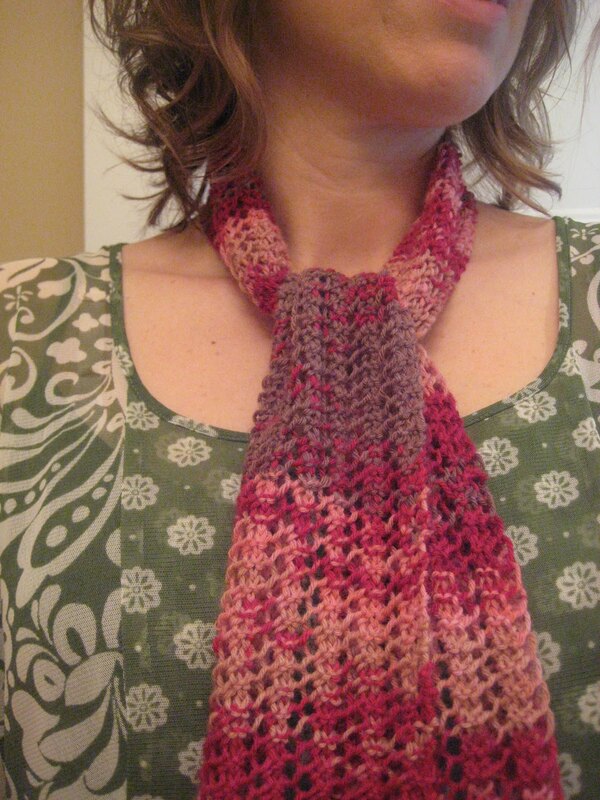 I started this lace scarf in February 2010. For a friend whose birthday is in May. Three months. Plenty of time. Her birthday came and went with no scarf. I had every intention of finishing it sooner, rather than later. But that didn’t happen. Life happened. 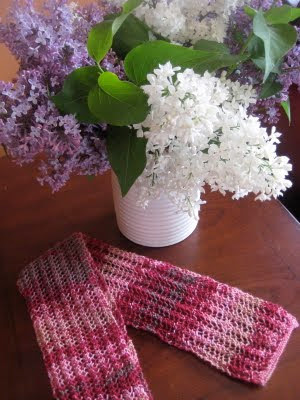 Other knitting projects happened. 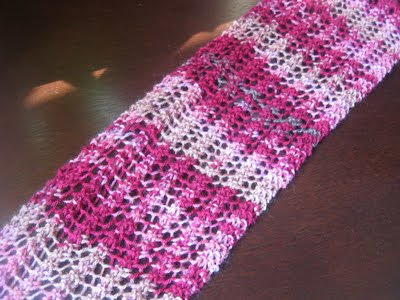 And this sweet scarf moved closer and closer to the bottom of my knitting bag. 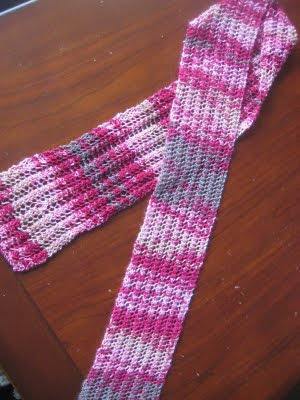 So, after being way too belated for last year’s birthday, I resolved to finish the scarf for her birthday this year. And I did! I finally finished it! On time (well, sort of). The scarf turned out beautiful!! I like the colour 😉 Greetings from Germany, Nicole. Always feels good to finish something up that's been hanging around forever! in love that scarf and i am very curious about that stitch…it looks like the stitch that i was doing on a scarf for my mom and then i lost the instructions…what a sweet friend you are! oh yes!!! 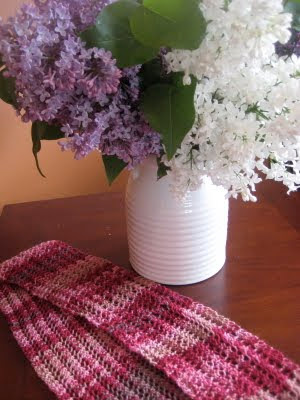 and the LILACS are so beautiful!! !